Sr. Andrew Wilson, author of the Guide to Using Seat Belts and Child Restraint lists some important points that need to be remembered while driving with kids. 1. Children should be seated in the backseat. It is the safest place for children during travel. 2. Do not put a child restraint in the front seat with a passenger airbag; instead, place it at the backseat. 3. Do not let children and babies sit on your lap in a car; sudden brakes and swerves can injure an unrestrained child. 4. Do not share seat belts. 5. Newborn babies weighing up to nine kilograms (or approximately six months old) should travel in a baby capsule or infant restraint. 6. Babies nine kilograms and up should travel in a child car seat firmly anchored to the backseat. 7. 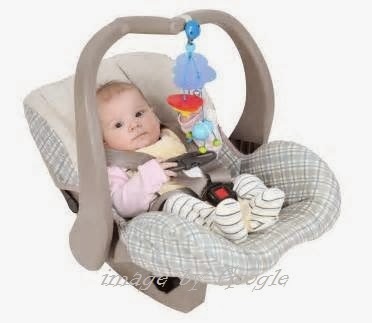 Ensure that the child restraint and seat belt straps are fitted snugly (without slack) and are not twisted. 8. 8. Seat belts should never be worn under the arm. On impact, the pressure of the seat belt over the heart could cause a ruptured aorta. 9. Seat belts and child car seats reduce injuries or the possibility of being killed in a traffic crash by 66 and 75 percent respectively.